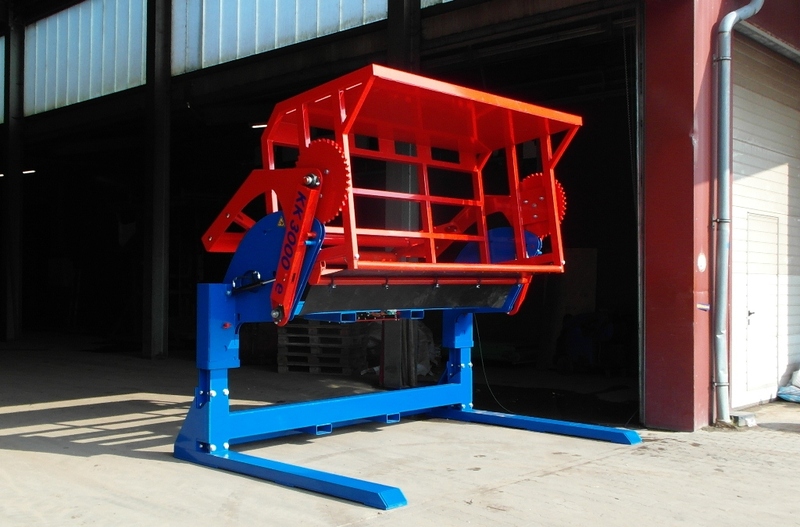 The very solid KK3000 boxtipper is an industrial designed machine, one of a kind. By the solid design it is capable to work with the most heavy boxes without effort. A 3 years warranty on construction parts is standard. Through a wide drive-in you easily place the box with a complete free opening on the upper side so the product will not be damaged en can be dumpted as a whole. The advantage of the low placed machine feet is you can drive over it with your truck or tipper. 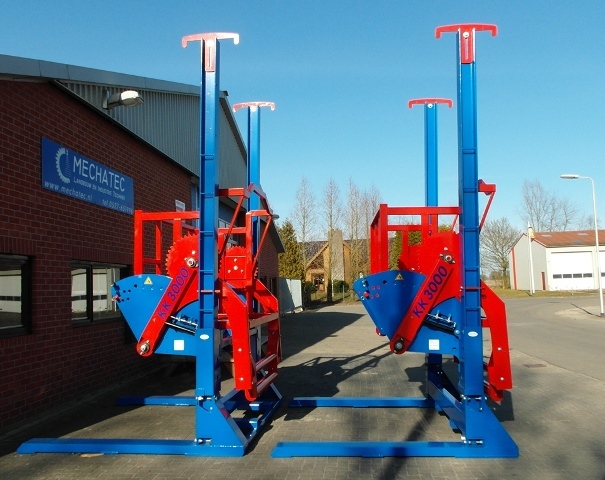 By placing the forklift spoons under the roll the system will tilt the rotation fram max. 170 degrees with a maxium tilting angle of 120 cm forwards. Through the big sprocket wheel the box will be placed above the bunker so the soil wil flow also into the dumpbunker. Through the bottom plate (optional) you can be sure all soil will be drained. 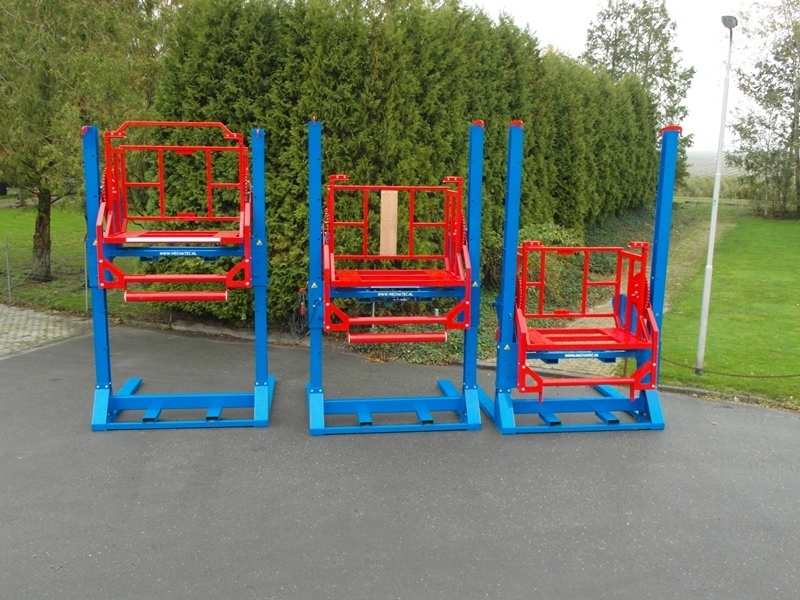 Various colomn- and dumpingheights make sure this standard boxtipper always fits within your company. Also the automatic tipping of the rotator is possible but yuou are still able to use it as a mechanical tipping machine. A vibration motor to vibrate the remains out of the box is a practical option. The benefit will be that the forklift is free for other work so the logistics within your company can proceed without difficulties.